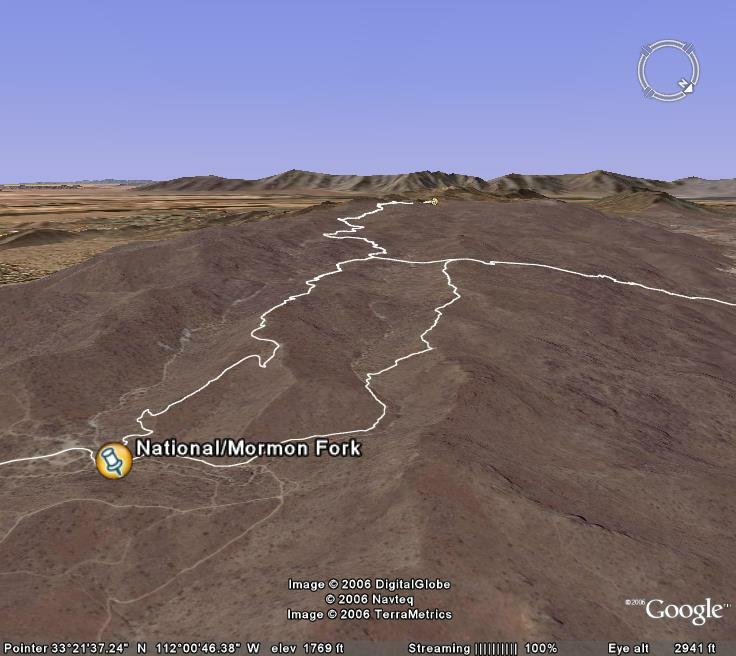 With an early ride on the the National – Mormon Loop this morningÂ I beat the heat and the foot traffic on the trail. South Mountain defines the best mountain biking in Phoenix. It’s as simple as that. There are sections of trail on South Mountain that dare remind me of Porcupine Rim and the Portal in Moab. When I ride South Mountain I feel like I’m on vacation, me and by bike are right at home in Phoenix but my mind is all on the trail. South Mountain challenges even the best riders. I tried to follow one of them once. He cleaned a seriously technical ascent. I biffed it. But today I almost cleaned it too. The next time I ride I’ll make it even further. I saw three other riders on the trail. One tacoed his front rim, another crushed a few too many spokes out of his rear wheel, the third was walking his bike. That’s pretty much the kind of beating National can dish out. I’m always up for a good fight. I had my share of spills too, but the machine I ride takes a whippin and keeps on spinnin. The 2006 Trek Fuel EX9. petefagerlin.com – excellent video footage and helmet cam of Arizona trail including National, Mormon, and Geronimo.